This article will teach you how to make an Apple ID without a credit card. You can easily do this using Apple Official website, or by iTunes, or also on your iPad or iPhone. An Apple ID account is used to log into App Store apps, iPhone, iPad, and Apple PC or laptops. Despite being a simple process a lot of users complain that they can’t make Apple ID without using a CC. It is not true, you can absolutely make your Apple ID without a Credit Card. The process you are following might be wrong. Go to the official Apple ID website. This opens a login page. If any current Apple ID page opens, you need to log out before proceeding. Click on Create Your Apple ID in the upper-right corner of the page. So it will open the Apple ID creation form. You have to just enter your Apple ID information. 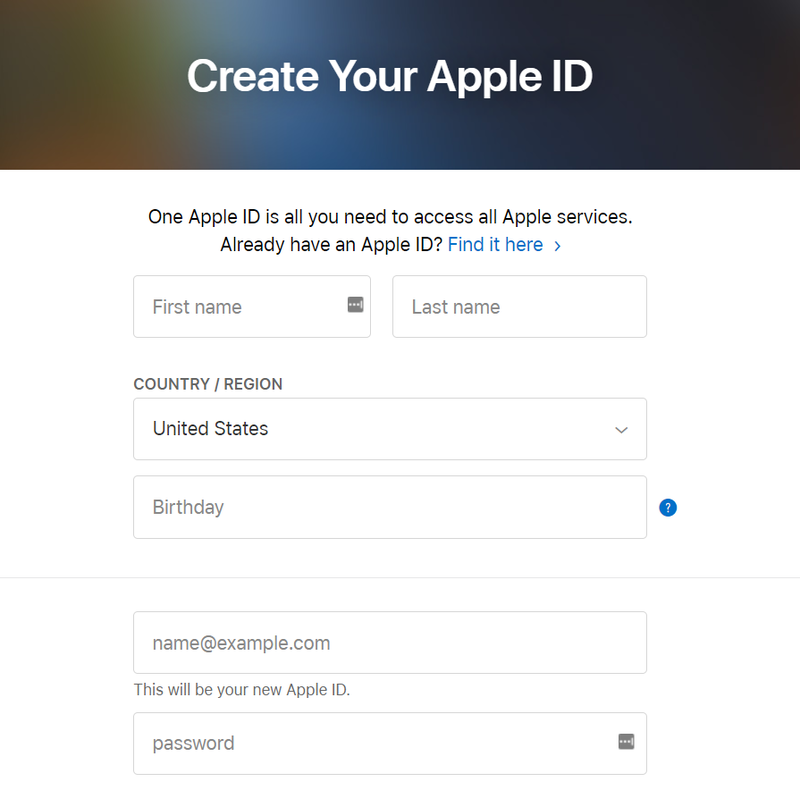 Fill out the fields like your first name and last name, birthday (mm/dd/yyyy), the email address which you wish to use for your Apple ID (you can’t use an email ID which is already in use as an Apple ID), then enter the password which you wish to put for your Apple ID. Select 2 security questions and answers. Note the answers down in case you forget in future. Scroll down and enter the security code. Then click on the Continue button at the bottom of the page. Now you have to retrieve your email address verification code. Open the email which you have set as your Apple ID and note down the 6 digit code from the email. Make sure to not include any spaces. Click on Continue button at the bottom-right corner of the verification page. Doing this will create an Apple ID account without a credit card. Done, your ID is created without using any Debit or Credit Card. If for any reason the above method doesn’t work, check this iTunes method given below. Open iTunes on the computer and sign out of your current Apple ID if you’re signed into an Apple ID on your iTunes. Click on the Music box on the upper-left side of the iTunes window. Click on TV Shows. Then click the Free TV Episodes link on the right-hand side of the iTunes page. And select any TV show with a free episode. Click on Get button on the far right side of the episode’s name. 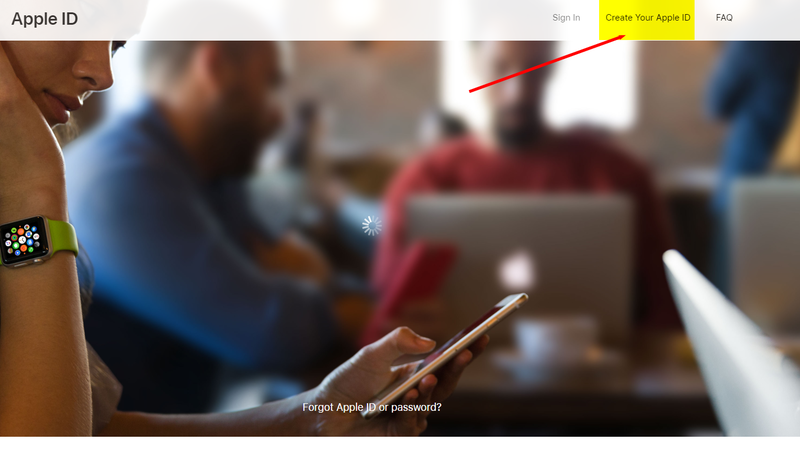 From a pop-up window, click on Create New Apple ID on the bottom-left corner of the window. Enter your Apple ID information like email (not an existing Apple ID’s email address) and password. And Continue. Now, enter your personal information and add security questions and answers. Click on Continue. Click on None on the far-right side of the list of payment options. Then enter your billing information including name, address, phone number and click on Continue. Now you need to verify your Apple ID email address with the five-digit code and then click on Verify. If you wish to create an Apple ID from your iPhone then follow the given steps. It will ask for Apple ID. You can either use an existing ID or you can create a new Apple ID. Tap on create new ID and complete the process. This way you can easily create an Apple ID from your iPhone without using any Card. It will ask Card Details only when you try to install a paid app. So make sure to Tap “Get Now” button of any free app. We have added 2 methods with all steps so that you can easily create Apple ID without Credit Card. I hope this article helps and solves your problem. For more Mac or iPhone related doubts you can visit this site again.